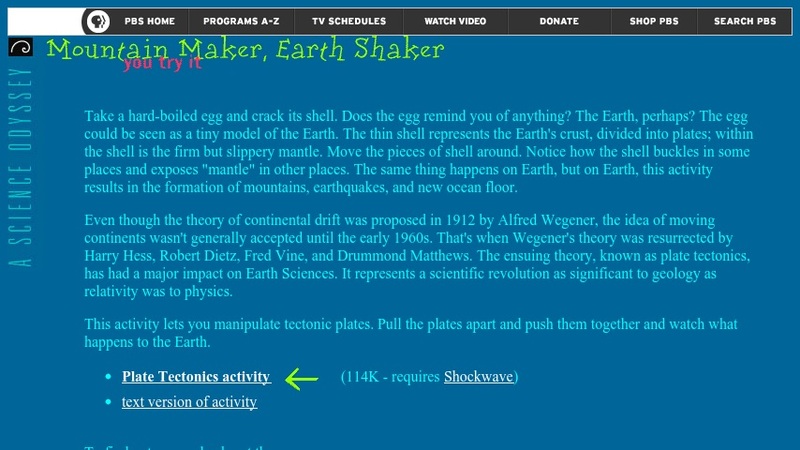 In this activity, the Earth's crust and mantle are compared to the shell and insides of a boiled egg. A computer simulation is provided in which students can click and drag crustal "plates" to form various types of plate boundaries. Brief descriptions of the boundary types accompany the simulation.